Aloe Designs is a Vancouver landscape design group that creates fresh outdoor living spaces—cultivating sustainable communities one patio, balcony, backyard, rooftop, and container garden at a time. At Tutti Flora landscape design my focus is on making landscape design accessible and affordable for all levels of garden design projects. I love design and love what I do - and most enjoy helping DIY landscapers achieve spectacular results! 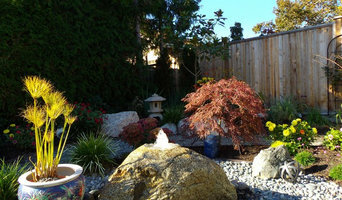 I work to refurbish and renew existing gardens as well as starting from ground zero on new home construction projects. I will work together with you through the entire process of creating a landscape design plan that is tailored to your lifestyle and family needs, one step at a time. Donohoe Design is a Vancouver-based landscape design and development firm that offers a unique mix of both principal design and full project management services for landscape development to clients. The firm’s success is rooted in Donohoe Design's commitment to honour its clients in the landscapes they create. The ability to adapt an unorthodox approach and international influences to a variety of properties and personalities has allowed Donohoe Design to work on a number of diverse sites and projects. From ultra contemporary homes in West Vancouver to lush suburban acreages in Surrey, Donohoe Design creates highly bespoke, personalized environments—hand-selecting materials and custom building almost every detail in the design. 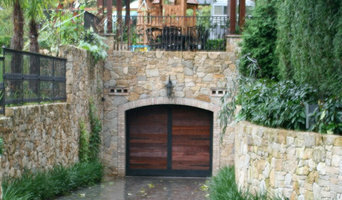 Grandin & McIntyre Landscape Design was founded in 1998. From the beginning we have focused on providing our clients with spaces that meet their vision and their needs. 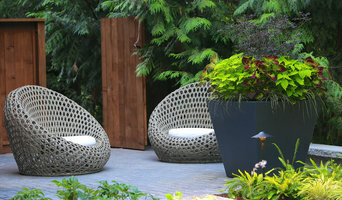 Our passion is to design outdoor spaces that feel good to be in. When we approach our projects, we look to: •Create a strong relationship between the house and the garden •Ensure the individual details of the space reflect and support the design concept as a whole To date we have had the opportunity to work with a variety of styles, ranging from boldly romantic to modern and contemporary. Our goal is to match the aesthetic of our clients and the space they are working with. We invite you to reach out to us and look forward to discussing how we may bring your project to life. 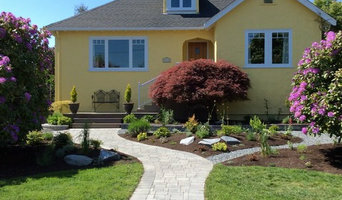 Award Winning Landscape Design & Installation Providing full landscape service for Victoria and the Saanich Peninsula offering our clients the best in design, quality and attention to detail. From the first design meeting to the final walk through of your finished landscape, we take care of every step. All you have to do is sit back and watch your garden dreams come to life. We are fully insured, licensed and members in good standing of Landscape BC and the Canadian Nursery Landscape Association (CNLA), APLD, as well as other industry and community organizations. Real Life Garden Solutions specializes in helping homeowners discover their creative potential to landscape their own garden spaces. Real Life Garden Solutions inspires in the client a love for gardening, for learning and using principles of sustainable horticulture, gaining the confidence to create spaces that can grow and evolve over the years. Real Life Garden Solutions will turn your outdoor space into the engaging, productive, energizing garden you’ve been hoping for. Janet is a graduate of University of Guelph’s Creating Landscapes Certificate program. She is an active qualified member of Vancouver Master Gardeners (Master Gardeners Association of British Columbia), participating in local outreach clinics, and is a member of the Garden Design Group of British Columbia. Providing exceptional creative design and installation of outdoor spaces, including: water features, patios/decks. pathways & steps, retaining walls, pools & hot tub zones, outdoor kitchen, firepits, sports courts, vegetable garden, bespoke structure design and more... 2D & 3D scaled construction drawings. Project management. Where form & function meet! DESIGN We create functional and ecologically respectful gardens for the urban setting that support and encourage healthy outdoor activities for the modern family while providing valuable bird and pollinator habitat right at your door step. Our mission is to guide and influence a new generation of landscape design without compromising standards, values and principles. Our goal is to create unique outdoor environments that compliment and become a natural extension to your diverse lifestyle. PROJECT MANAGEMENT At Alina Gardens Inc. we take our time to ensure that you are satisfied and excited about your new garden design. As such, we understand the importance of having the final built product be as beautiful and satisfying as you could have imagined. That is why we have spent years carefully selecting the highest quality contractors in the industry to turn that vision into reality. We build and manage the team for your peace of mind. OUR CORE VALUES Childlike Fun Playful Creativity Respect Everyone & Everything Unabashed Humility Loving Community Responsible Candour Integrity OUR 7 STEP DESIGN SYSTEM TO YOUR DREAM GARDEN 1. Discovery: together we fully discover your garden needs and dream list. 2. Concept Creation: we conceptualize your vision into 2D + 3D imagery. 3. Design Development: we will design each element suited to your wish list. 4. Team Coordination: with an approved plan we will work side by side with your contractor to ensure your garden is built to perfection. 5. Site Review: we will conduct 3 site visits ensuring quality control 6. One year follow up: we will follow up after one full season to ensure you and your garden are getting along. 7. Two year follow up: after two seasons your garden is a teenager. And to celebrate we will conduct a professional photoshoot with your family. TKL Design Inc. CREATING A UNIFIED AND AUTHENTIC WHOLE; ____________________________________ THOMAS KYLE has been practicing landscape design, site planning and project management for over 20 years. He received his Bachelor Degree in Landscape Architecture from the University of British Columbia and his Diploma in Fine Arts from the Victoria College of Art. HE BELIEVES that the process of design requires step-by-step consultation, to clearly identify the client’s objectives and goals. He believes that these will be site, client, theme and architecturally specific. The coming together of all of these elements results in a project that truthfully reflects – and respects – both the client and their budget. HE BRINGS his extensive, hands on experience to every project. He guides the process forward, and always remains focused on designing cohesive, integrated and beautiful living spaces, from 5 acre estates and waterfront properties to intimate backyards and green roofs. THOMAS UNDERSTANDS how to collaborate with a team of professionals and is committed to both environmental stewardship and design elegance. He has worked with clients and architects from New York to Seattle and from Vancouver to Los Angeles. HIS GREATEST STRENGTH is perhaps his capacity to listen to and reflect on the client’s deepest aspirations. He feels that a core, elegant design solution is latent in every project, one that respects the site, those aspirations and the budget. He works with the client to uncover that elegant, perfect solution. HIS CLIENTS SPEAK highly of his work. In the 2010 edition of Luxe Magazine, one of them is quoted as saying, “So special is the one and a half acre site that the design team spearheaded by Landscape Designer THOMAS KYLE has created a house with a strong sense of being perfect.” THOMAS KYLE has been awarded “Best Of Remodeling” 2012 and 2013 by Houzz, the leading online platform for residential remodeling and design. The Landscape Design company, TKL-Design, was chosen by the more than 1.2 million registered members of the Houzz community. Residential garden design by Adrienne Brown, a Registered Landscape Architect and Certified Arborist specializes in projects on the North Shore and on the Southern Gulf Islands. Adrienne creates gardens that: 1. Respond to the architectural style of the home; 2. Balance the client's goals and ideas with the site conditions; 3. Consider views of the garden from within the house; 4. Incorporate high quality, durable materials that are locally sourced where possible; 4. Mature into robust, healthy collections of plants; while meeting municipal requirements and addressing issues that arise from coordination with other consultants and contractors. Professional landscaping anchors a house to the site, connects it with the environment and creates a welcoming entrance to a home. A Salt Spring Island landscape architect or designer works with living plants as well as building materials to design for future growth and maintenance as well as the present visual appeal. Landscape architecture is very regional, so look for a landscape designer in Salt Spring Island, BC that’s familiar with the local climate and plant types that do well there. Start here to learn more about the landscaping services in Salt Spring Island, BC that will help create your dream garden. The work of this outdoor professional includes most everything surrounding a home's exterior. A landscaping architect can even work with the home architect to choose the right spot for your Salt Spring Island, BC house. From there the Salt Spring Island landscaper will develop preliminary concepts for your front or backyard design based on individual needs including the climate and activities that will take place, as well as layouts and planting plans. Landscape architects will also design any structures or outbuildings that will be added to the space. Any grading changes that will be added to the yard are also the responsibility of the architect. This includes any drainage modifications. An engineer can also be responsible for these tasks, but licensed British Columbia landscapers are fully capable. Like building architects, they will produce preliminary concept drawings as well as detailed construction documents and planting plans. Three-dimensional renderings and illustrative plans are all supplementary. 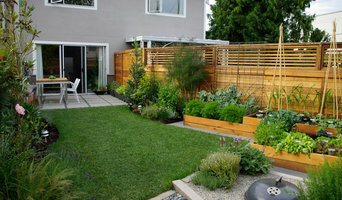 A Salt Spring Island landscaping designer generally will have ecological, aesthetic and technical training, which helps them maximize the potential of your outdoor space. Keeping in mind both style and functionality, garden designers analyze your architecture and yard to produce a plan that may or may not include location and materials for walkways, patios, water features, fences, garden aspects and more. In addition, a landscaper in Salt Spring Island, BC will carefully assess your geographic region to choose plants, trees and flowers that will flourish naturally, as well as address concerns such as drainage, screening and soil conditions. Certain landscape designers only help with the planning portion, while some may deliver the plans and then oversee a hired landscaping contractor. Others — typically following a design-build approach — take care of both the design and all aspects of the landscape architecture and construction. Before you hire a British Columbia professional landscaper, consider the scope and emphasis of your outdoor project. Landscape architects, who typically hold advanced degrees in their field, are trained to develop comprehensive structural plans that include plants, hardscaping, water use, drainage and more. Landscape designers typically specialize in the aesthetic and horticultural, rather than structural, side of yard and garden planning. They might or might not have advanced training. Even within their fields, a garden designer may specialize in hardscape- or vegetation-focused designs. In some cases you might need to hire additional help to get the outdoor space you want. Here are some related professionals and vendors to complement the work of landscape architects & landscape designers: Landscape Contractors, Garden & Landscape Supplies, Tree Services, Gardeners, Lawn Care & Sprinklers, Decks, Patios & Outdoor Enclosures. Find a Salt Spring Island landscape architect on Houzz. Narrow your search in the Professionals section of the website to Salt Spring Island, BC landscape architects and designers. You can also look through Salt Spring Island, BC photos to find a space you like, then contact the professional who posted the photo.